Dishes from Middle Eastern, Mediterranean and Vietnamese cuisines are having a strong influence on the foods sold by high street operators according to new research from Horizons. Menu Trends, the latest report from the foodservice consultancy, reveals how British menus are becoming increasingly global due to the influence of eclectic ingredients. 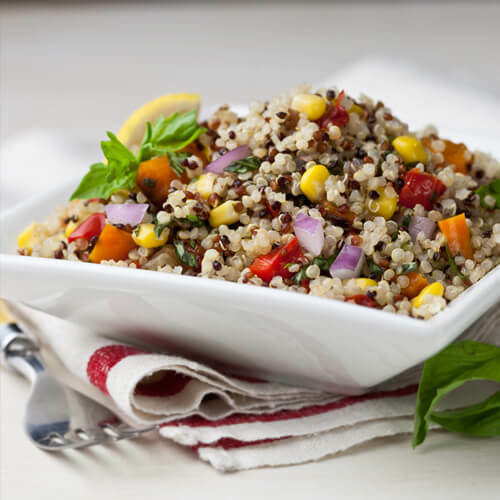 Some of the newest ingredient trends picked up by the survey include the wheat-free, grain-like superfood quinoa, the use of which has doubled on menus since winter 2014 and is now on menus at Hilton, Nando’s, Leon and O’Neills. South American seeds have also become more widely used including amaranth and chai seeds, which have a delicate nutty flavour and a high nutritional value, used in breakfast and dessert dishes at All Bar One, Pod, Castle Pubs and Le Pain Quotidien. The menu at All Bar One is offering a Vietnamese-inspired open sandwich banh mi with grilled chicken, pickled carrot, sweet chilli and mouli, while the Middle Eastern flatbread khobez is now on the menus at three high street brands. The twice-yearly Menu Trends survey reveals that Mediterranean-inspired dishes are on the up too – kebabs, for example, are 50% more likely to be listed on menus compared with last year, while the skewer-grilled souvlaki has also become more widely served. Houmous alternatives are more in evidence including skordalia, (made with garlic and pureed potatoes, nuts or soaked bread) and favetta (broad beans with olive oil). Halloumi has seen a sharp rise on menus, up 54% year-on-year with Mexican chain Chiquito featuring halloumi-stuffed mushrooms and Wetherspoon listing a dish of grilled halloumi. Curry appears to be making a comeback, up 31% year-on-year but with a new pan-Asian twist.